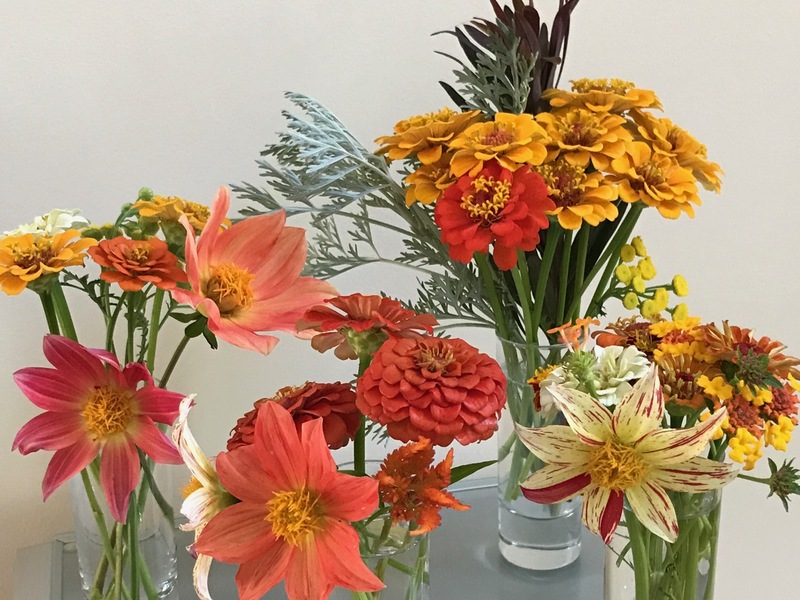 As October soon draws to a close, the garden continues to offer some cheer. 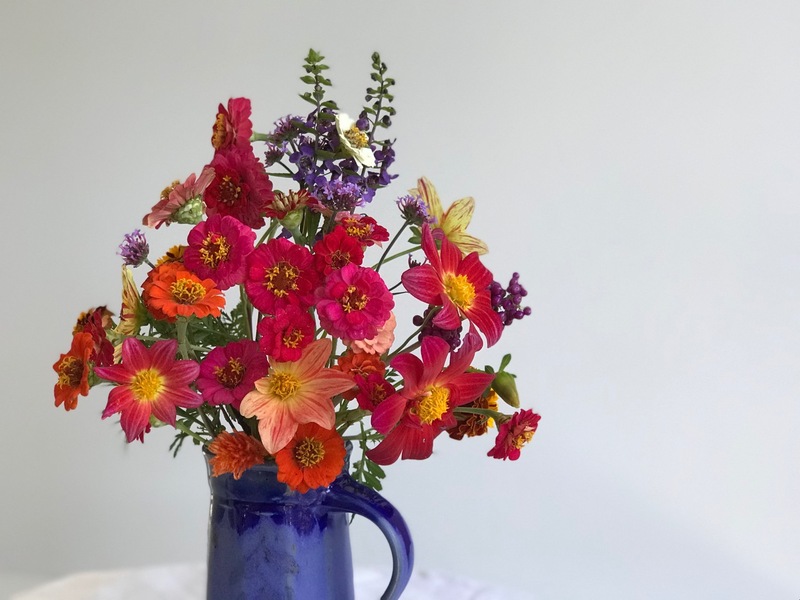 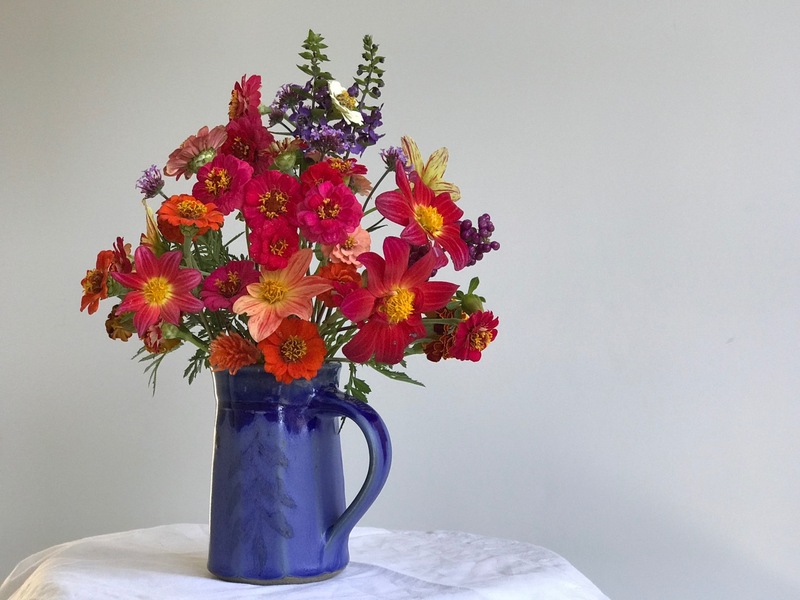 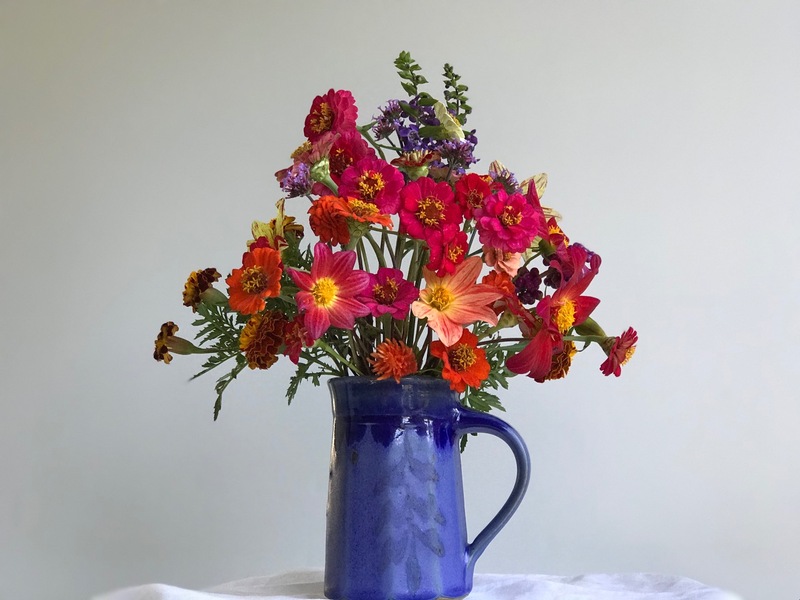 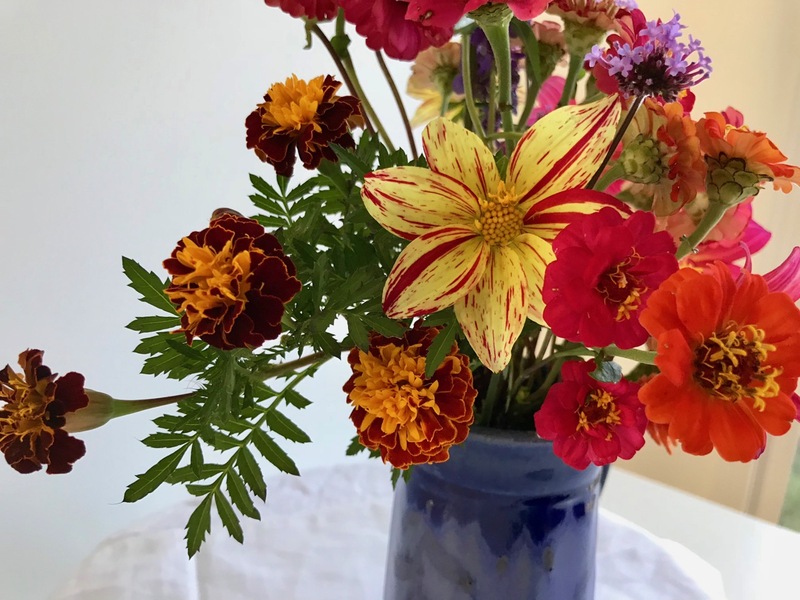 Last vestiges of zinnias and a few more Dahlia ‘Fireworks’ fill this week’s blue mug. 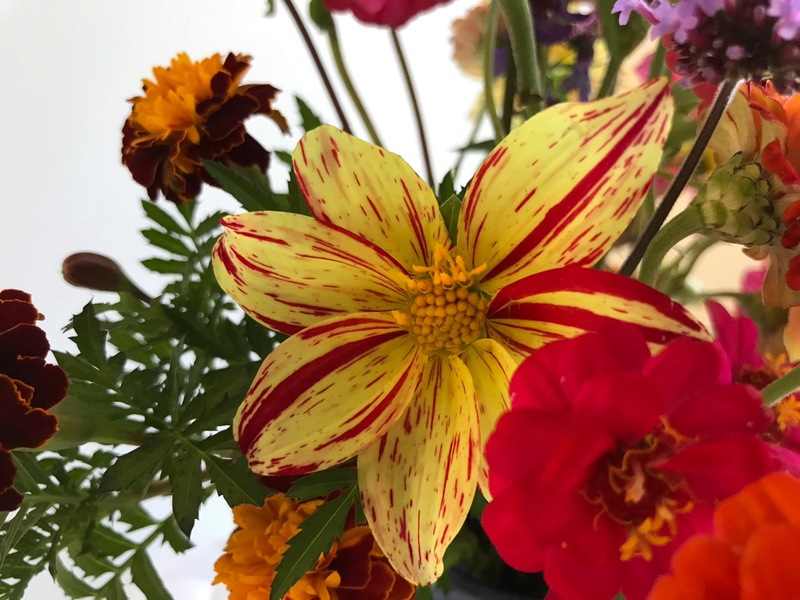 There are three colors of the dahlia plants from the Fireworks series that I picked up at a garden center early in summer. 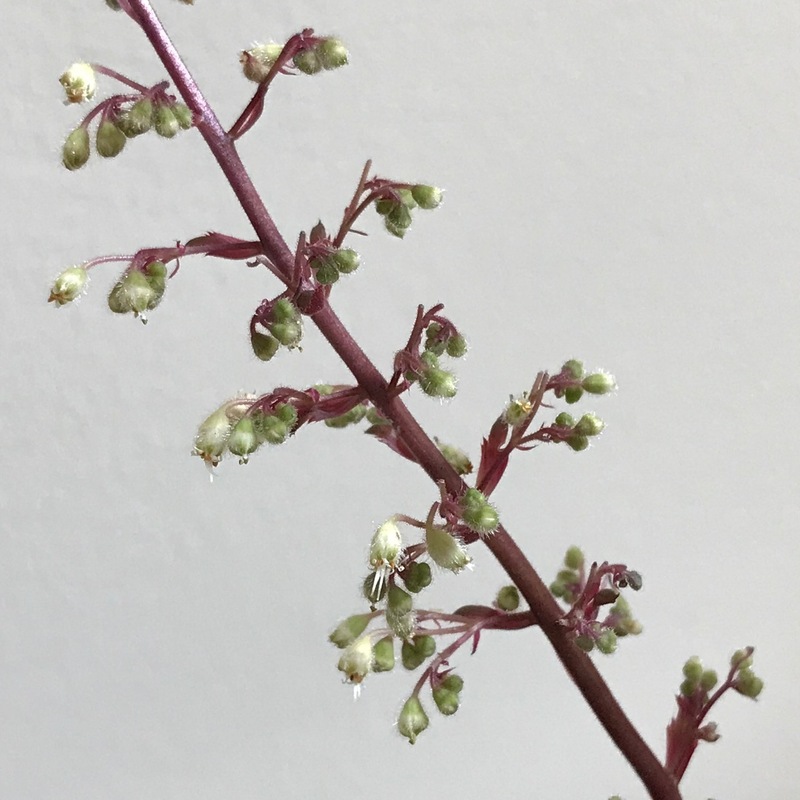 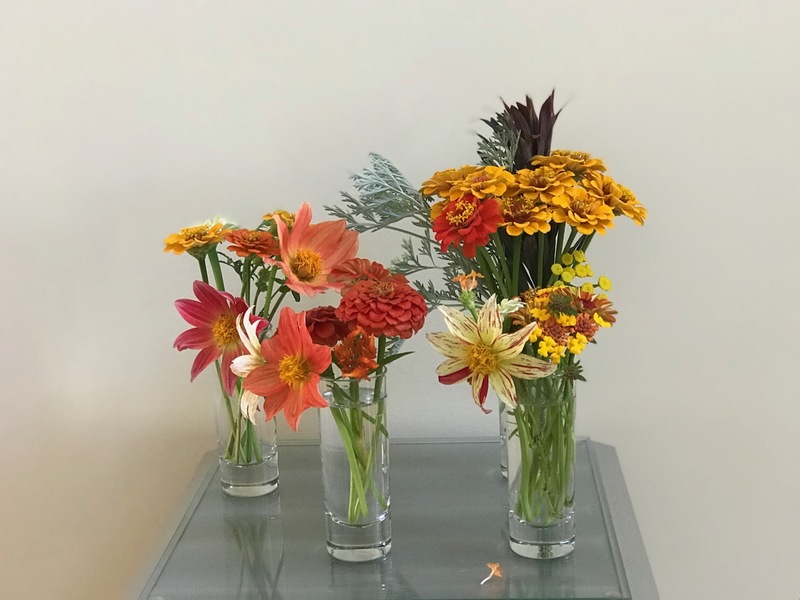 I would not grow them again. 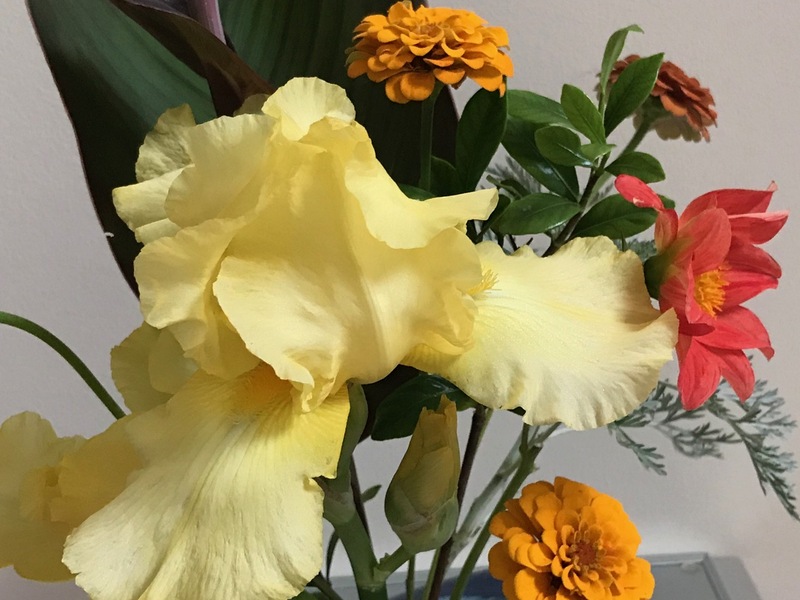 The yellow-red combination is not to my taste., the pinkish-red one is a little better. 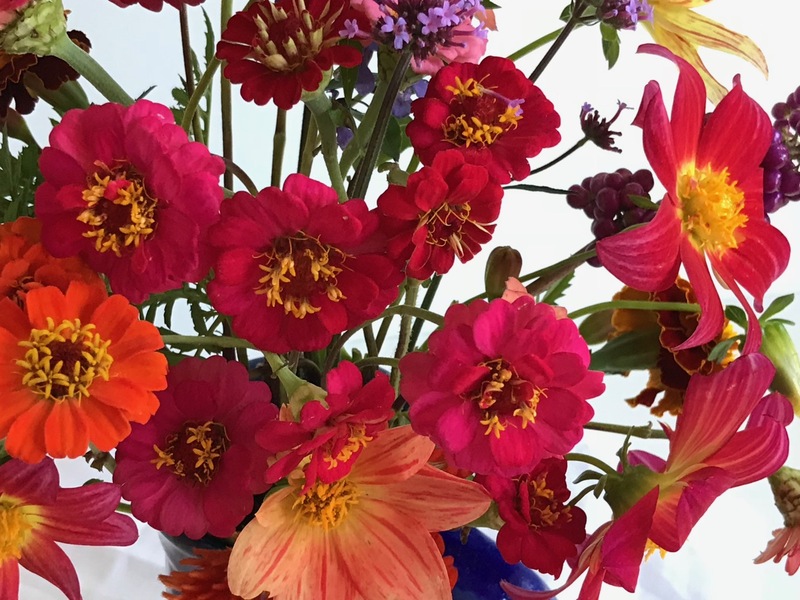 I prefer the apricot-peach one (tucked in bottom right of previous photo) but it blooms less well. 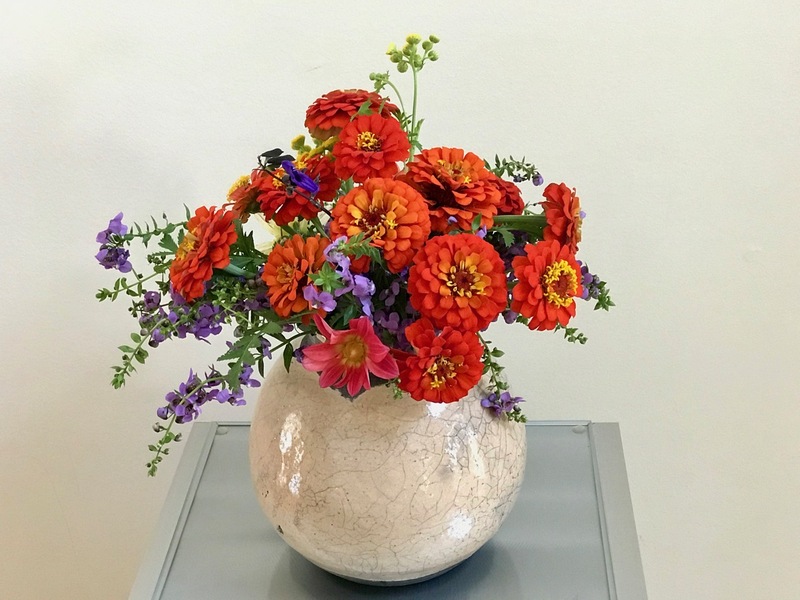 A volunteer marigold flowered in an abandoned terra cotta pot, opening just in time for me to add it to this week’s arrangement. 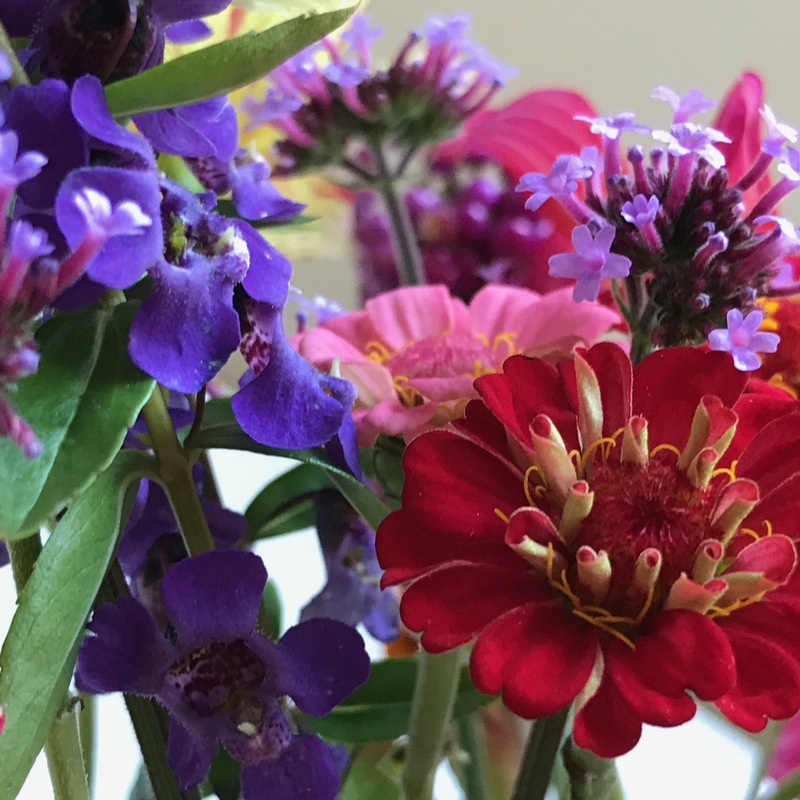 Here are a few more close-ups. 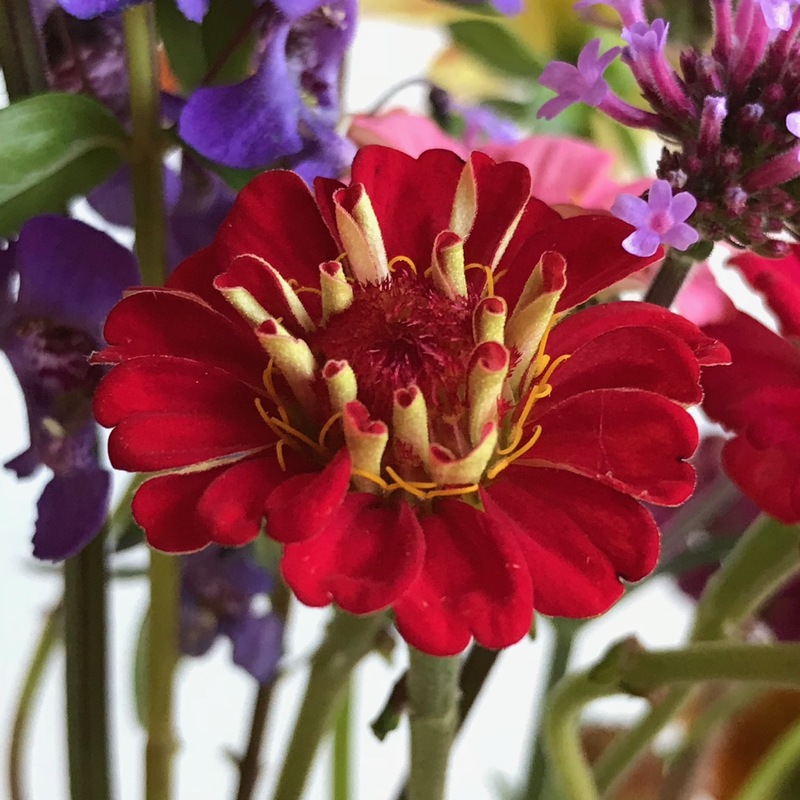 The zinnias are tiny at this time of year, but some still are beautiful. 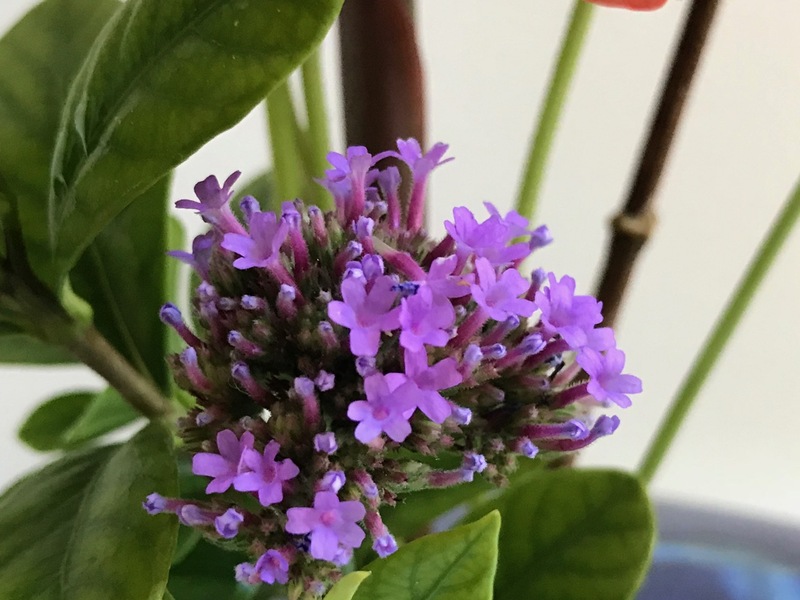 Callicarpa americana (American beautyberry) is native and attracts birds. 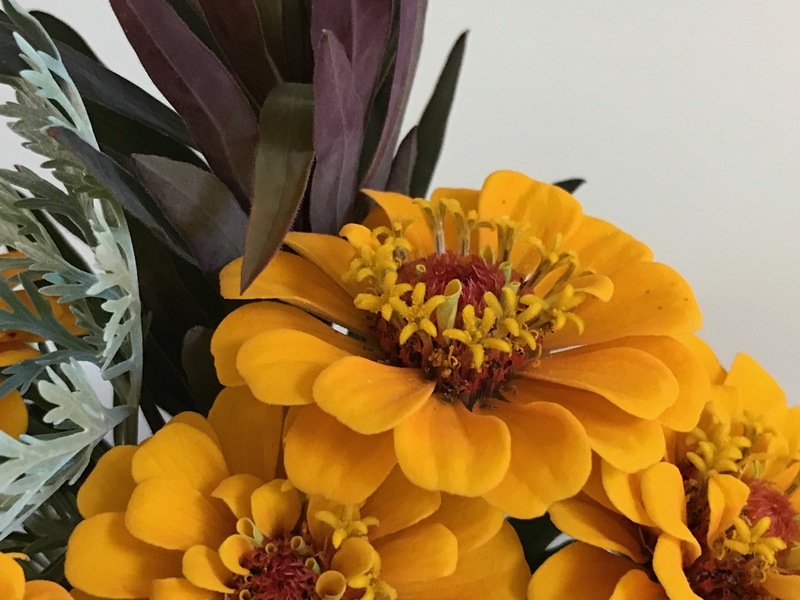 I watched a mockingbird eating the odd-colored berries and seemingly savoring each one. 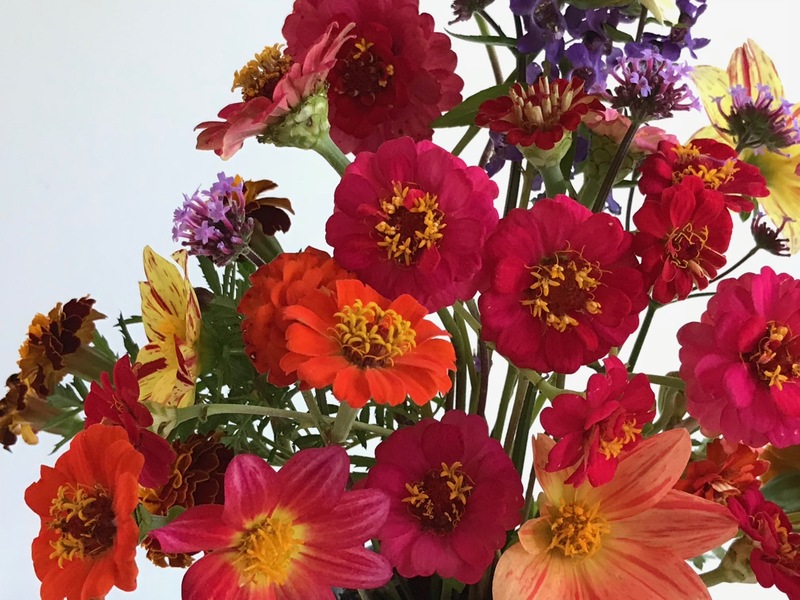 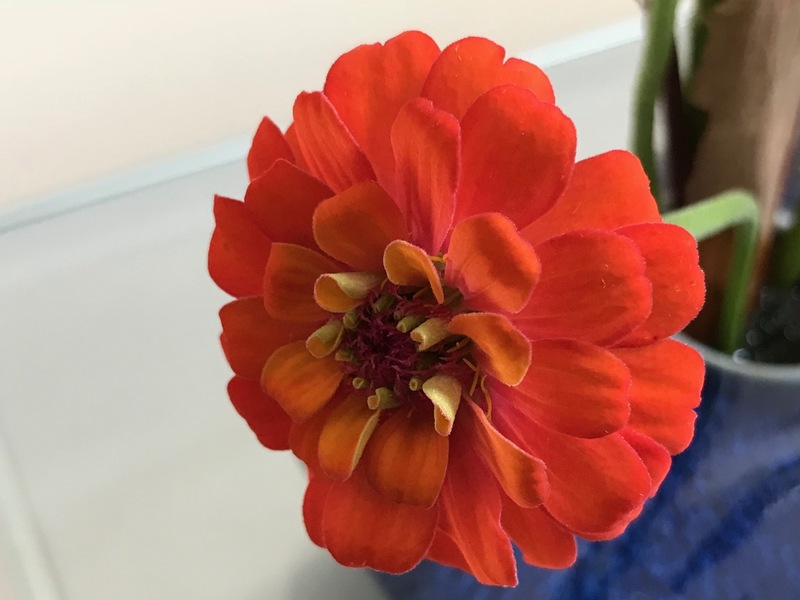 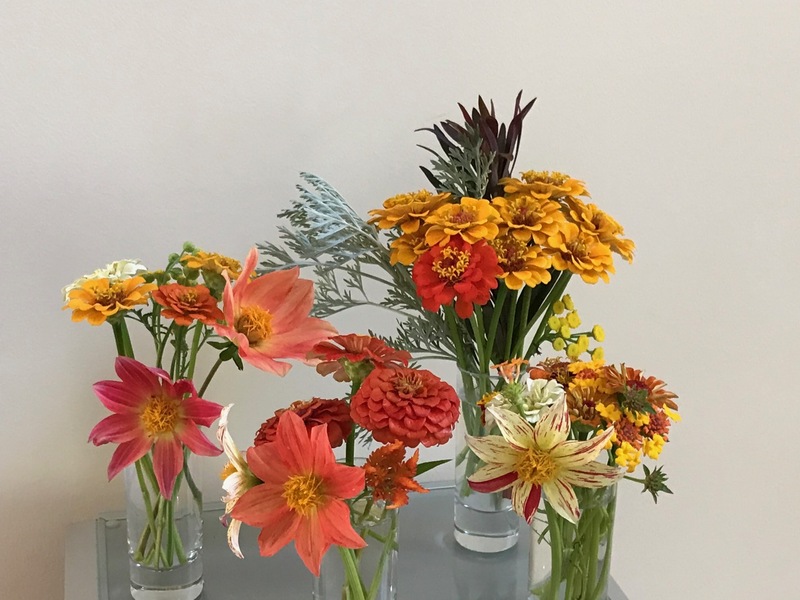 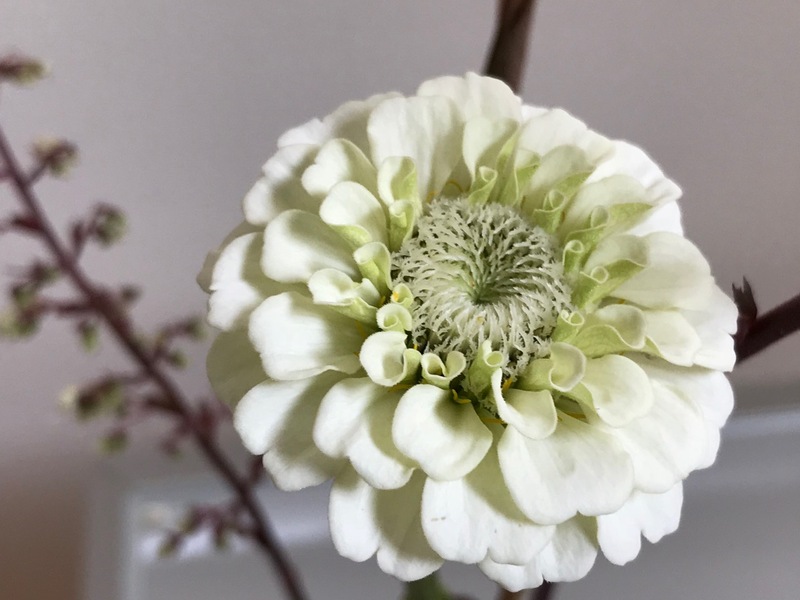 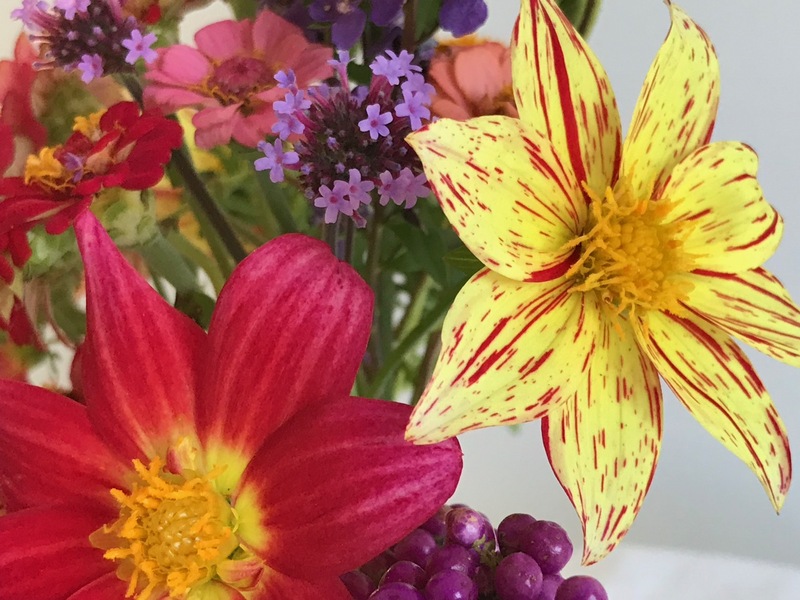 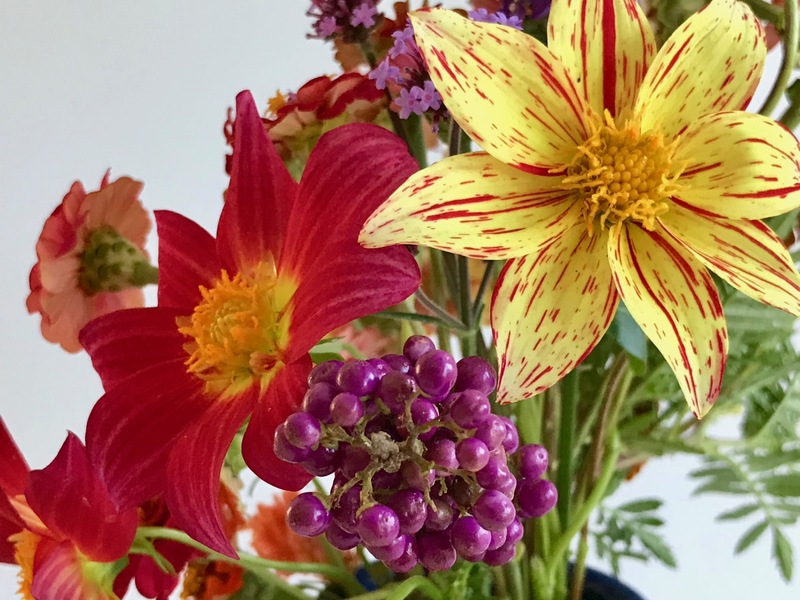 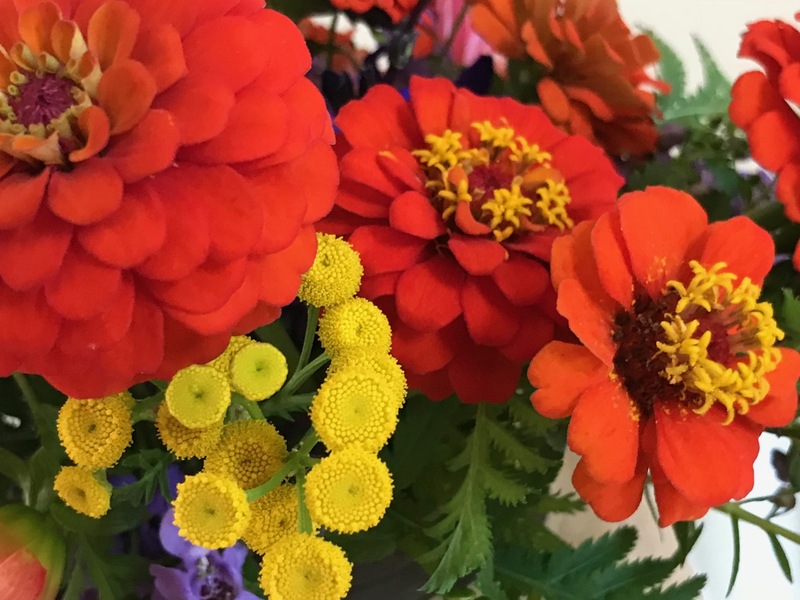 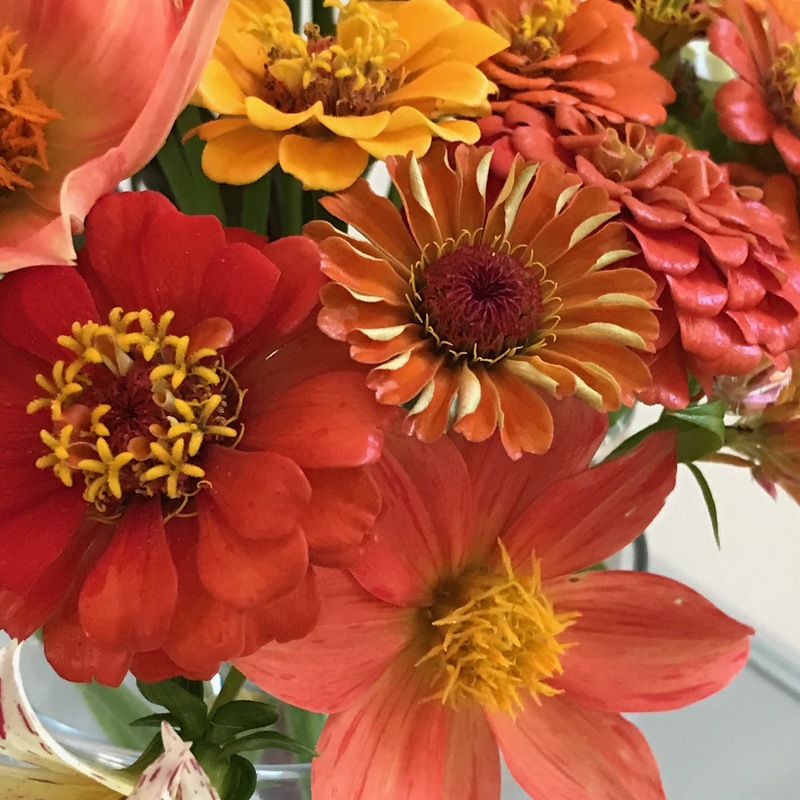 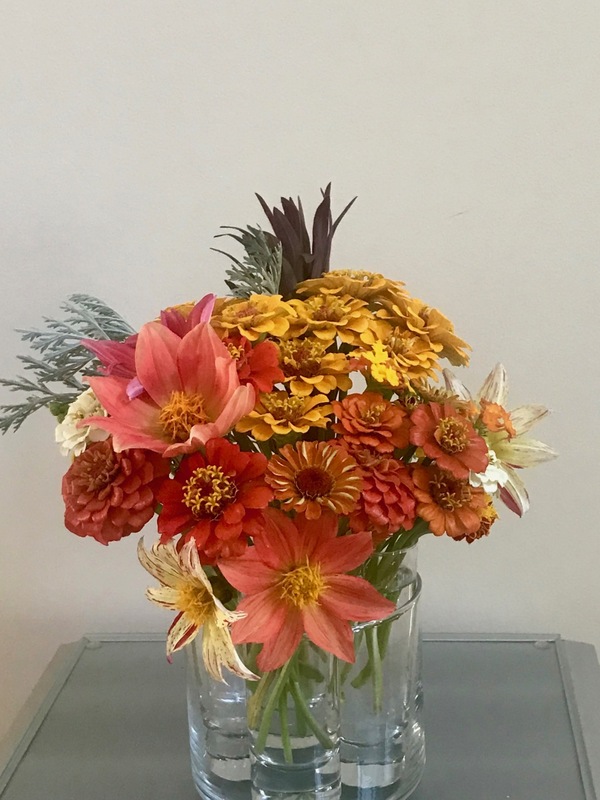 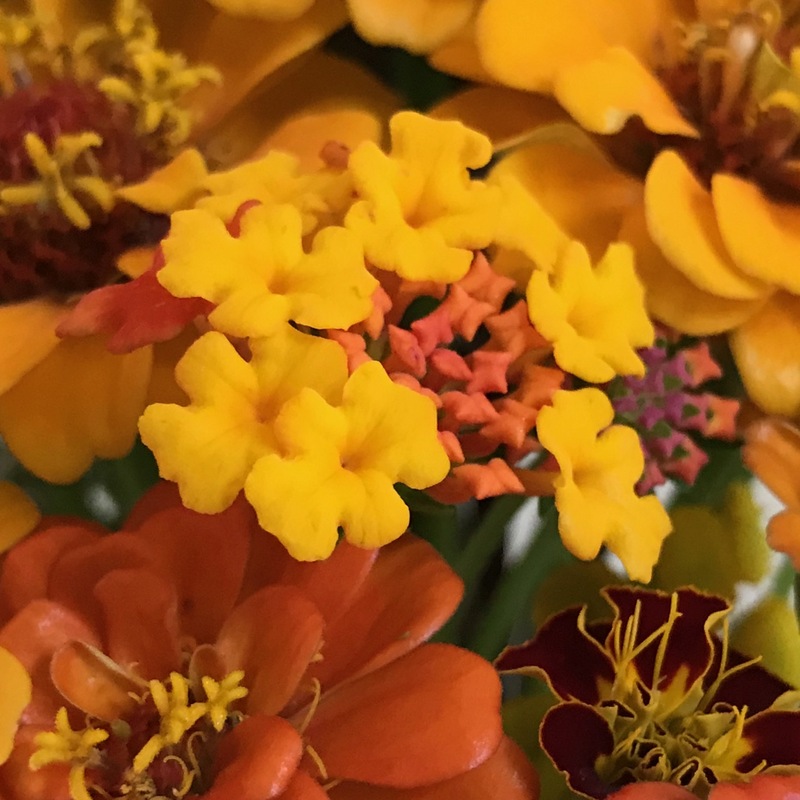 This entry was posted in garden and tagged 2018vase, Dahlia ‘Fireworks’, in a vase on monday, marigolds, Zinnia 'Cut and Come Again' (Zinnia elegant pumila) on October 29, 2018 by pbmgarden. 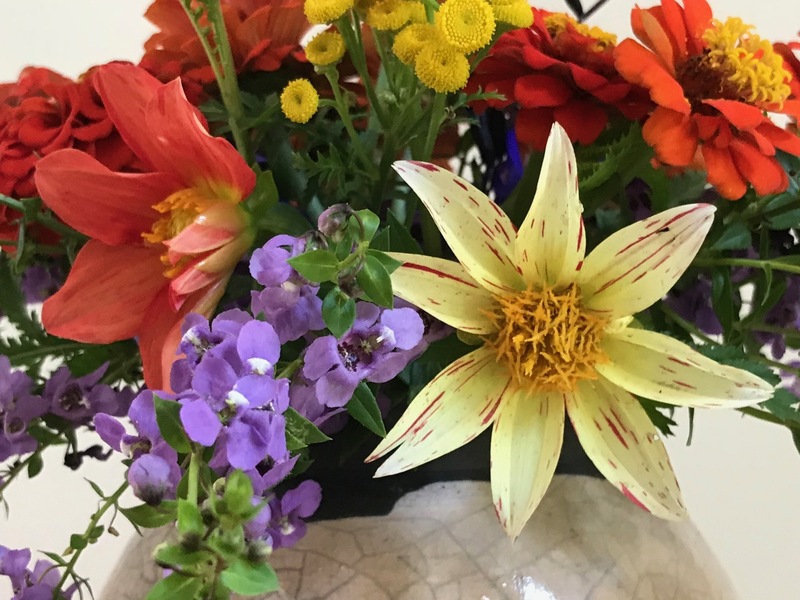 Cathy at Rambling In The Garden invites us to share an arrangement every Monday using materials collected from our gardens. 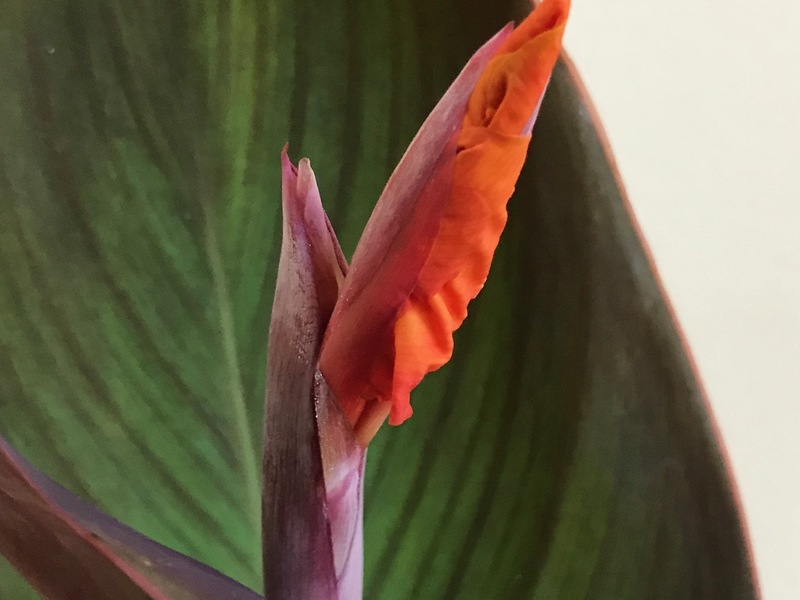 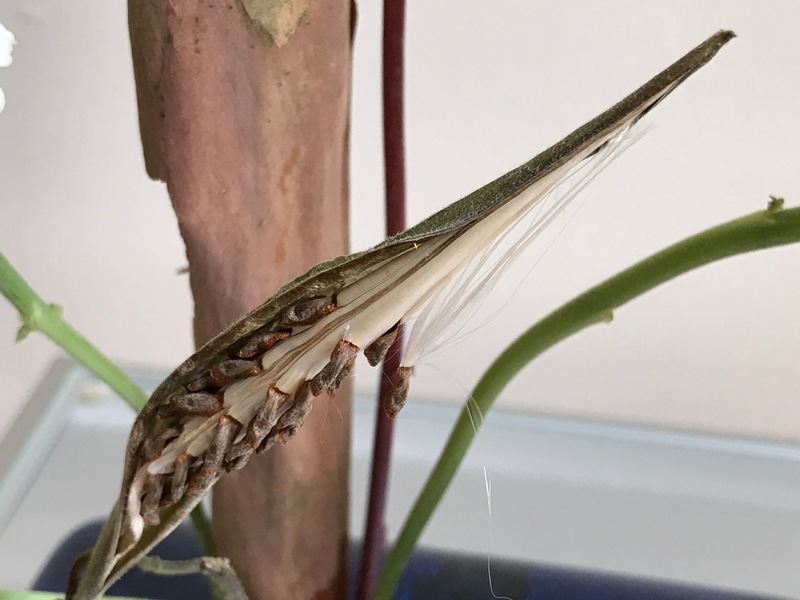 This week the main focus is broad leafed foliage and stem of canna whose orange flower is teasingly slow to unfurl. 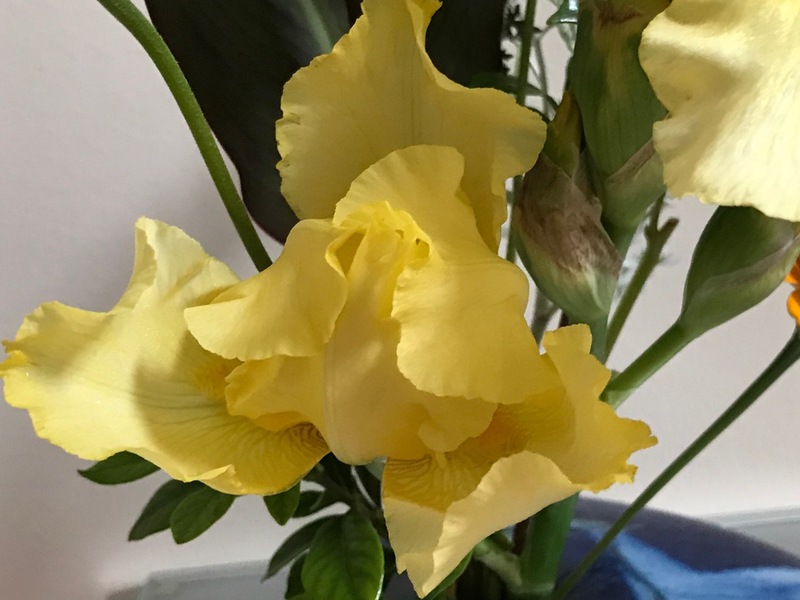 This canna’s name is a mystery, but I admire its strongly patterned, richly colored leaves. 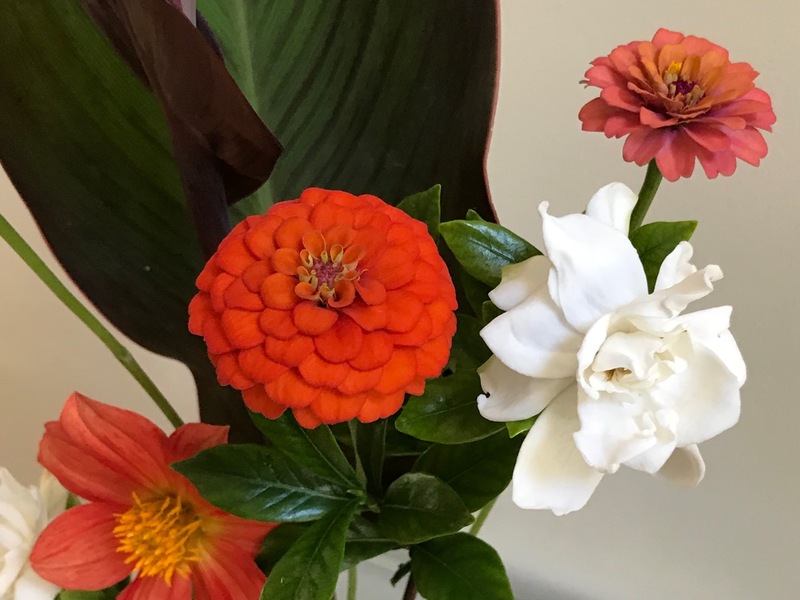 A few gardenias are blooming this week, a welcome surprise, especially since the brutally cold winter had caused serious damage to the bushes. 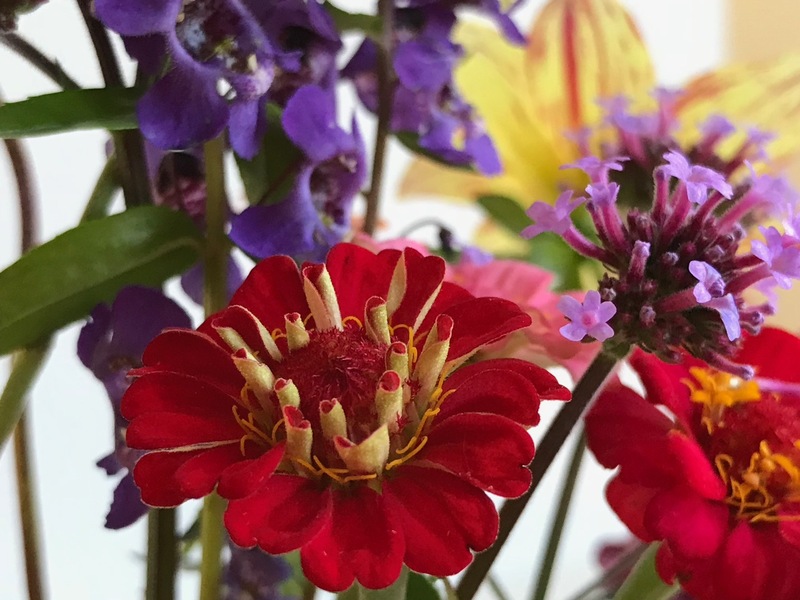 Zinnias continue to be a bright spot in the garden, although some of the plants are dying back now and the flowers are smaller. 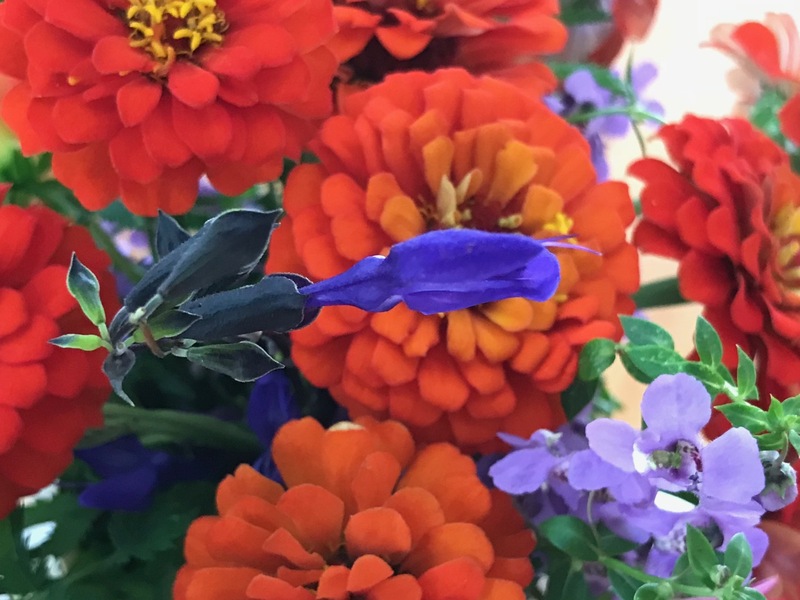 Verbena bonariensis adds dashes of color all around the borders. 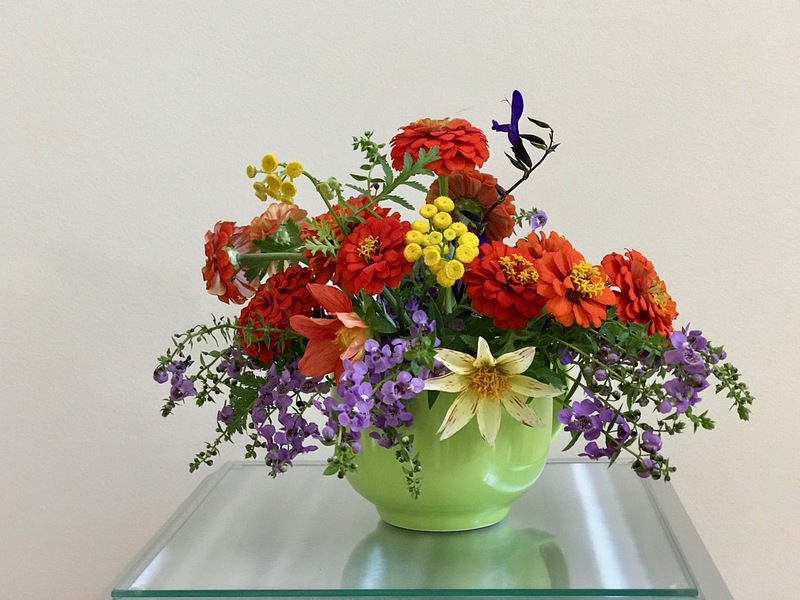 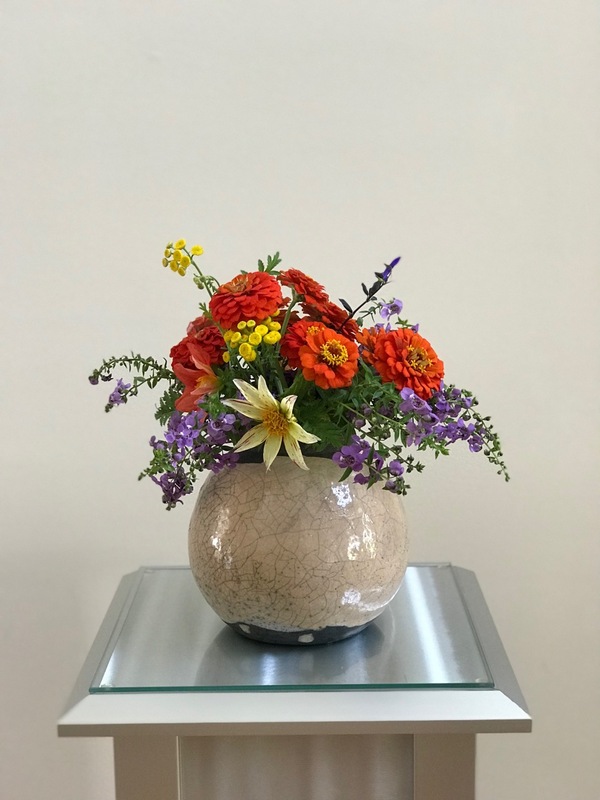 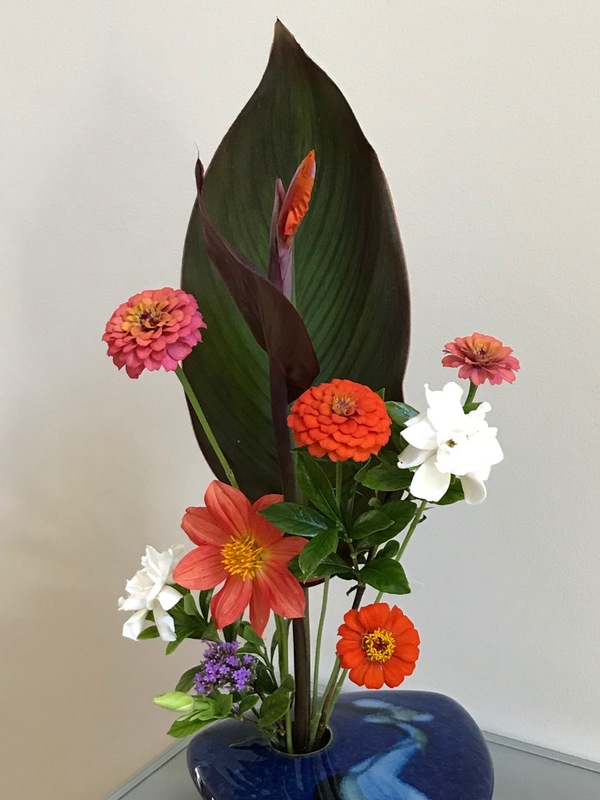 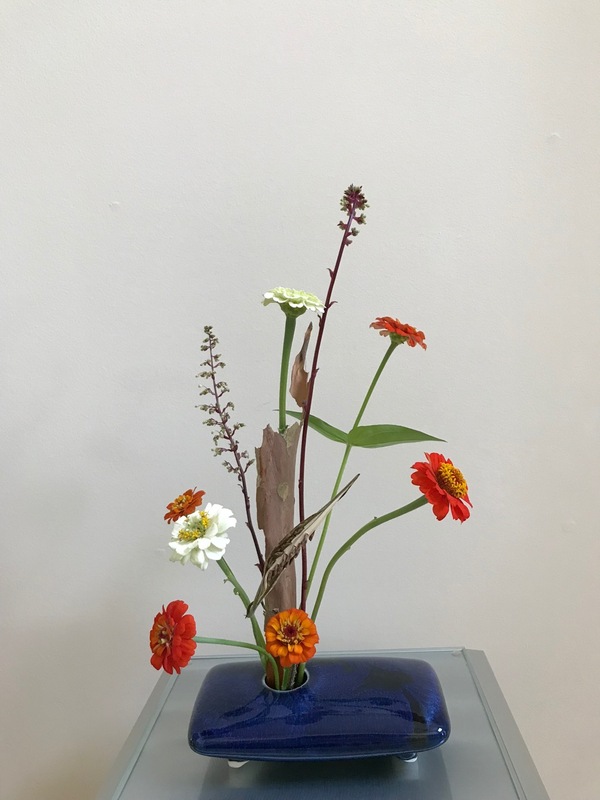 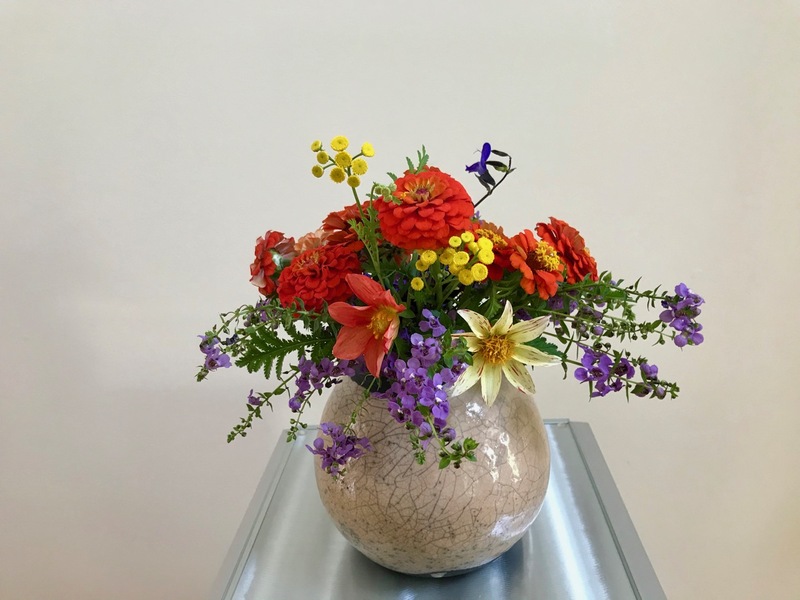 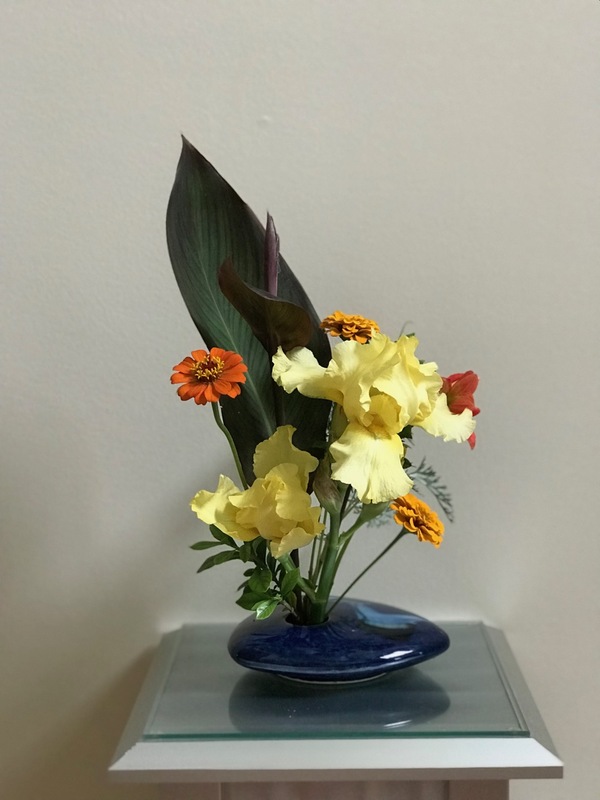 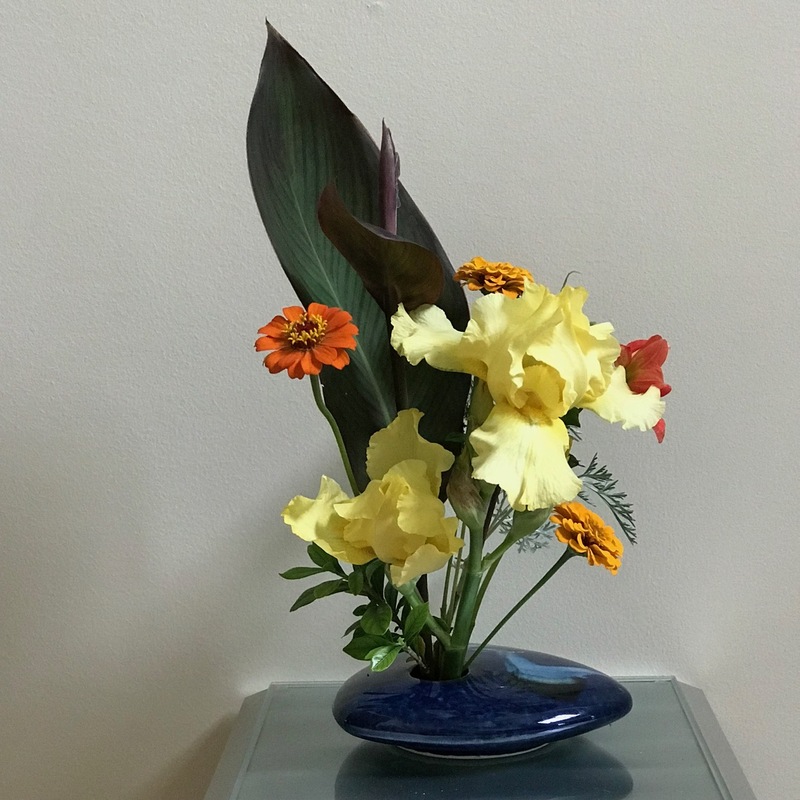 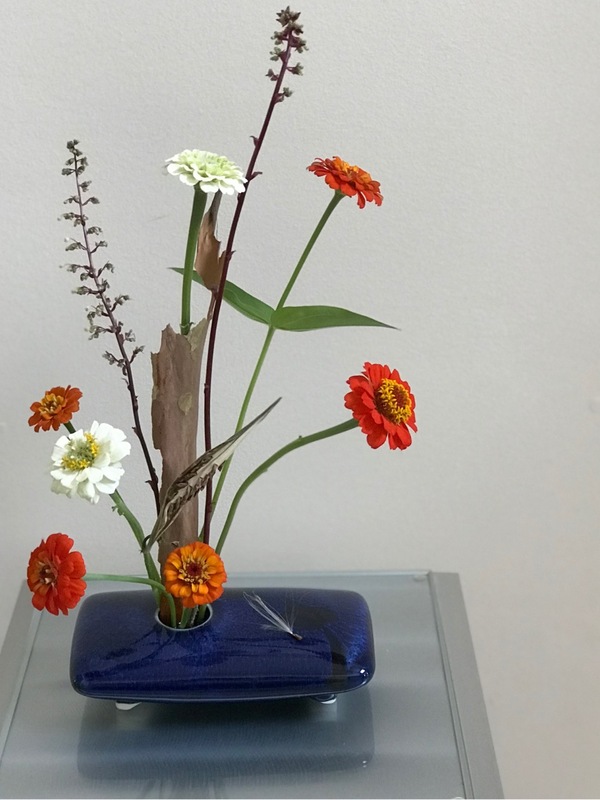 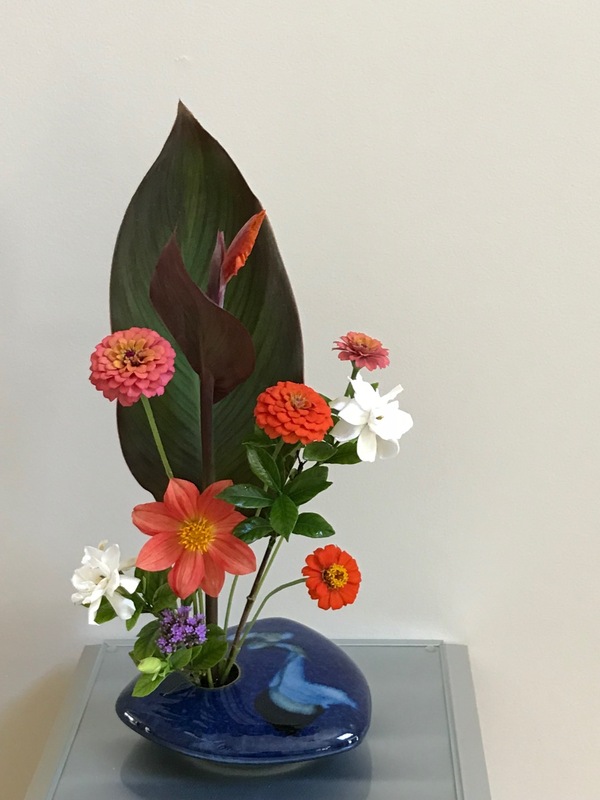 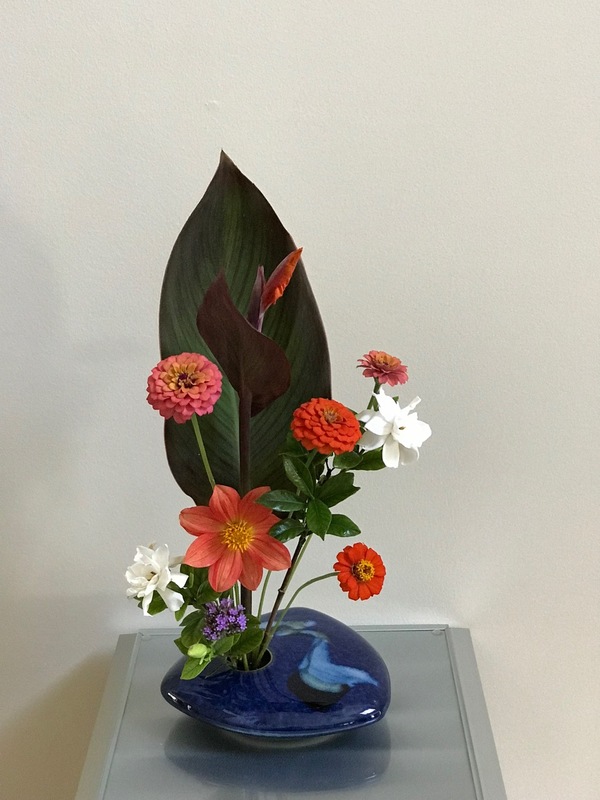 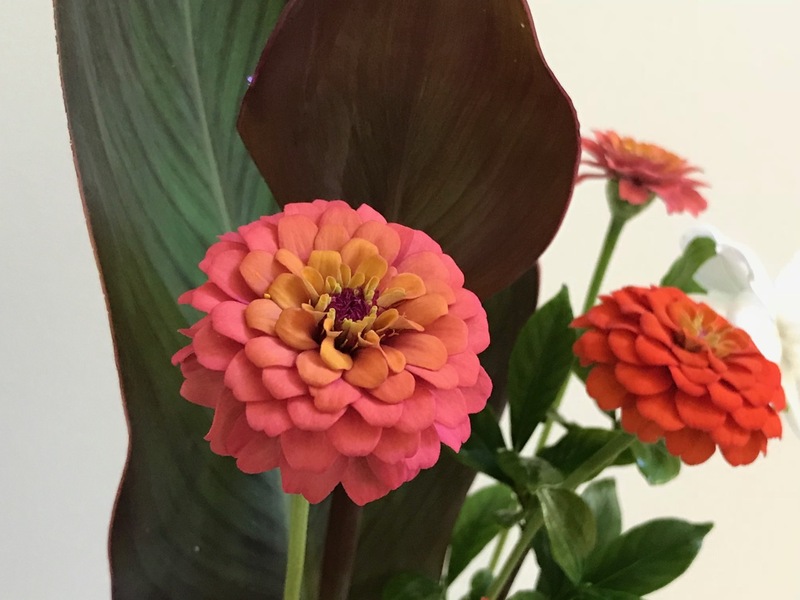 This entry was posted in garden and tagged 2018vase, canna, Dahlia ‘Fireworks’, flower arranging, flower design, gardenia jasminoides 'August Beauty', in a vase on monday, nature photography, Zinnia 'Cut and Come Again' (Zinnia elegant pumila) on September 3, 2018 by pbmgarden.